Over half of the 100,000 hectares of mountains overlooking the province of Bulacan are sitting on one of the biggest deposits of tea rose marble in the world, worth up to 15 trillion pesos. The Department of Environmental and Natural Resources (DENR) has been in a long up-hill battle involving the regions of Bulacan in the past but now they have given the green-light to auction off quarrying rights. In 2010, Bulacan’s Governor Willy Sy-Alvarado banned the mining of the rare marble, essentially closing down numerous mines throughout Eastern Bulacan. Since collection of red marble was illegal many mines dumped their stash of marble along the road and river beds. Alvarado had those blocks collected and tried to hunt down those who left them behind. 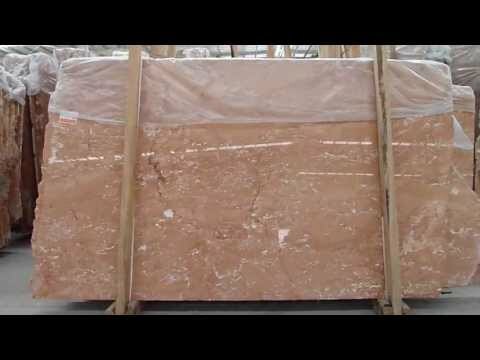 Today some 257 rose marble blocks have been collected by the provincial government – Early this year that same government body gave way to auction them off, subject by the rules of the DENR. Though only 257 blocks of marble will be sold at this time, numerous environmentalists are trying to get the rest of the mountain banned from having its marble extracted. 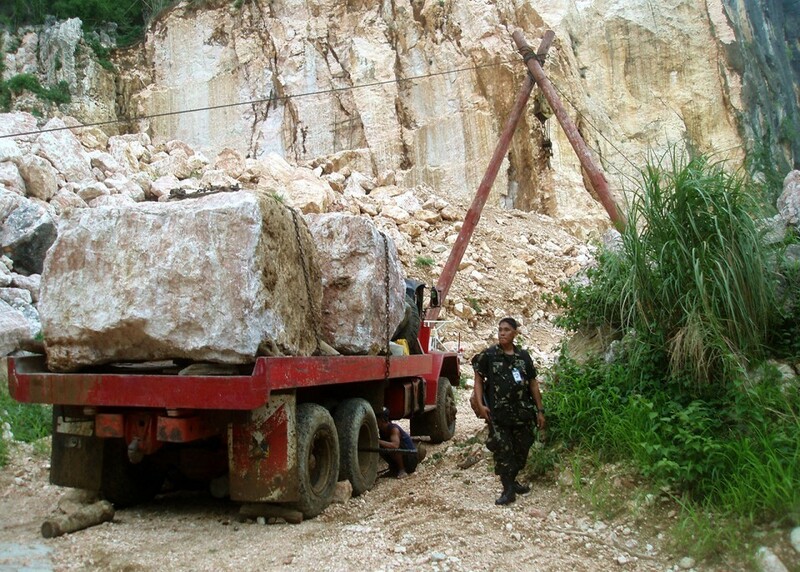 Those same environmentalists are upset at those running the Biak-na-Bato National Park as they too are allowing mining groups to extract slabs of the rare pinkish stone. “I think it’s cursed because many people have already died over its mining,” said an official of the Sagip Sierra Madre Environment Society (SSMES). Not only has the rare stone become a major commodity for business, it also has been a major battle for the region of Bulacan – from deaths to endless court battles, the push to re-open the region to mining is ongoing. As for illegal mining, well that’s another story in itself, another unending battle of despair. In the end, if the rare rose marble is allowed to be extracted, the battles to its richest will no doubt once again cause numerous deaths and destruction in ways we could never imagine. The biggest problem with mining is ensuring it is done correctly with maximum safety and minimal environmental impact. It can be done but only with proper ENFORCED” regulation. However saying something so ridiculous as ““Perhaps the deities and the unseen guardians in the rain forest and mountains of Biak-na-Bato were angered because the whole mountains together with its forest cover have already vanished, creating an environmental malady that is now also being felt in the low lands because of severe flooding” certainly not allow for a reasoned debate or discussion on the matter. The people of this country need to get their heads out of the 12th century superstitions that surround their uneducated minds and stop talking about ghosts and “deities and unseen guardians” because that kind of superstitious talk is useless and counter-productive.